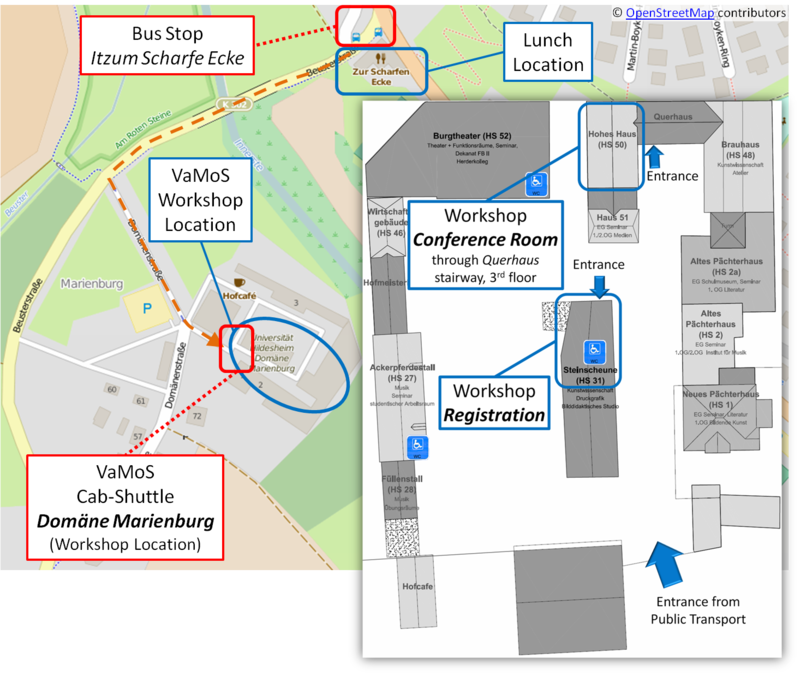 For attendees of the VaMoS workshop a VaMoS cab-shuttle is available twice a day. 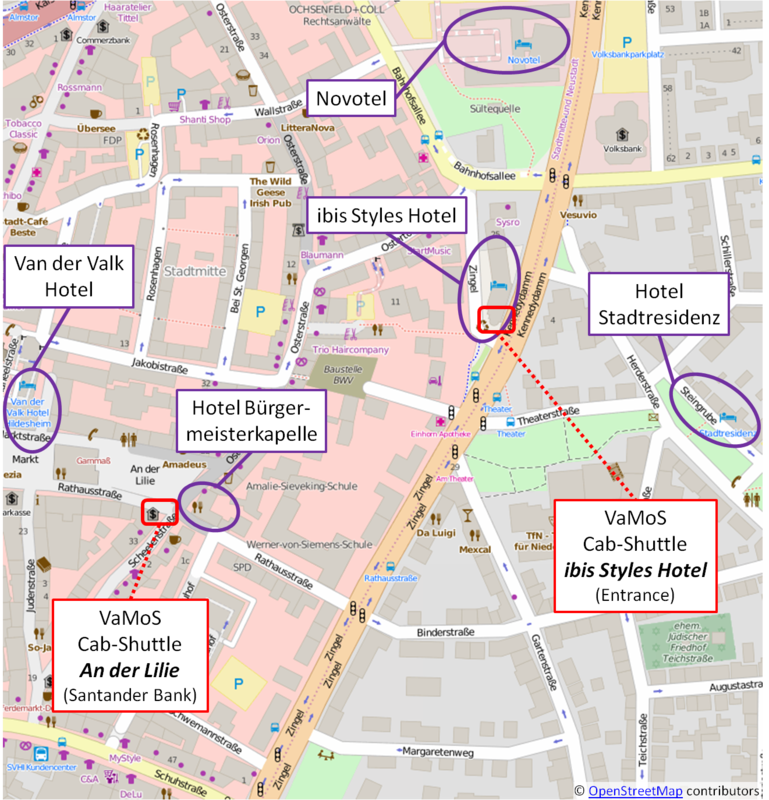 In the morning the cabs will stop at the entrance of the ibis styles hotel. 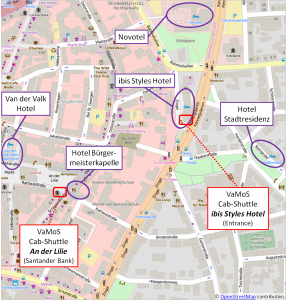 A second stop will be at the Santander Bank near An der Lilie (at the corner of Rathausstraße and Scheelenstraße). 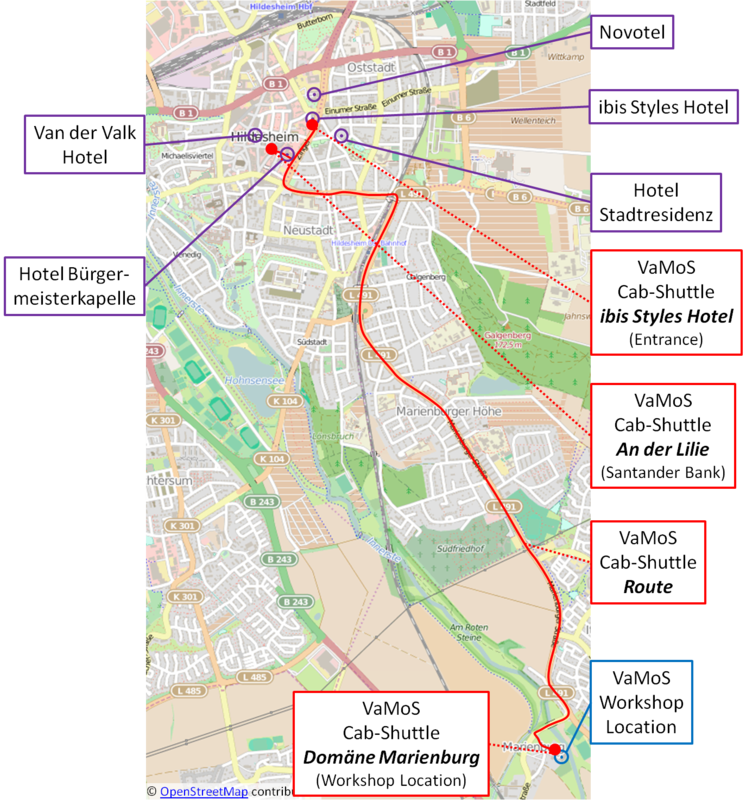 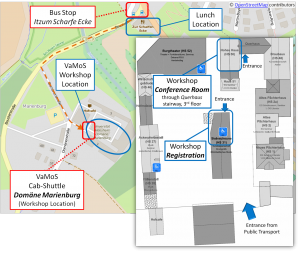 The cabs will then directly drive to the workshop location at the Domäne Marienburg. 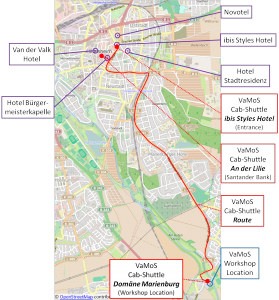 In the evening the cabs will drive back from the workshop location to An der Lilie and ibis styles hotel (except for Friday: separate lists at the workshop for cab-sharing).